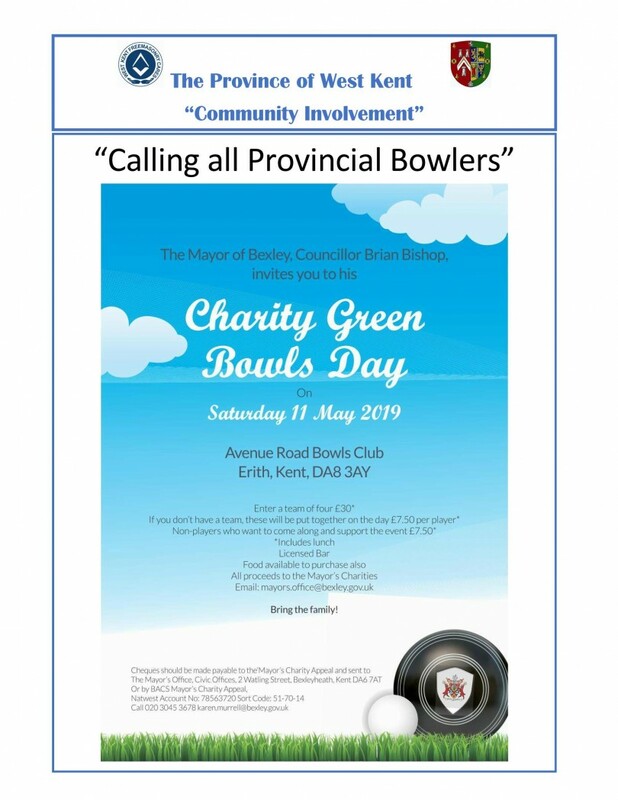 The Mayor of Bexley, Councillor Brian Bishop, invites you to his Charity Green Bowls Days on Saturday the 11th May 2019. The event will be held at the Avenue Road Bowls Club, Erith, Kent, DA8 3AY. A Team of Four entry fee is £30* with lunch included.